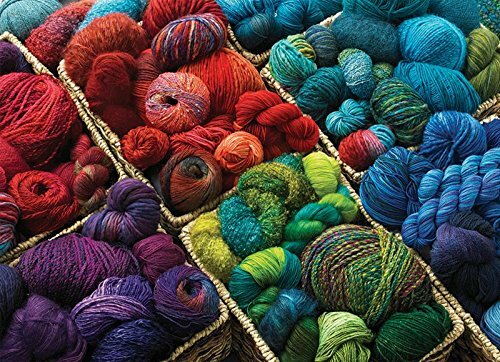 20 Best Gifts for Knitters and Crocheters | Yarn Lovers Gifts Add to Flipboard Magazine. 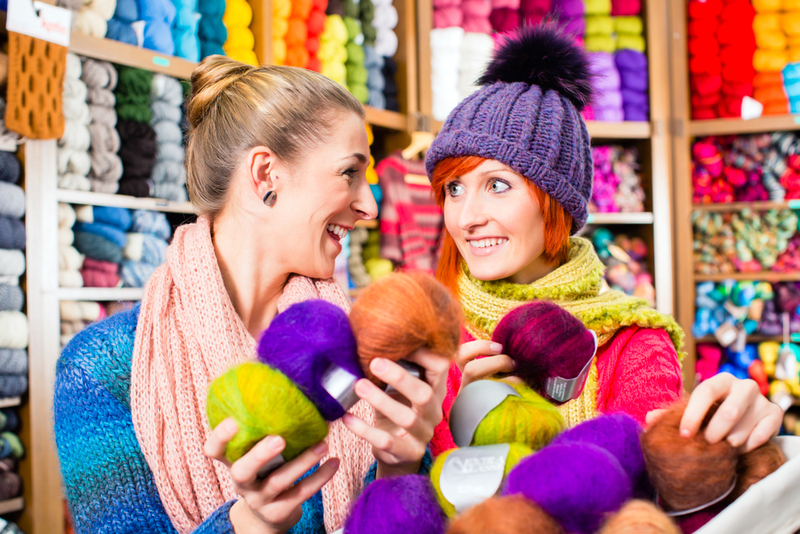 What are the Best Gifts for Knitters and Crocheters? 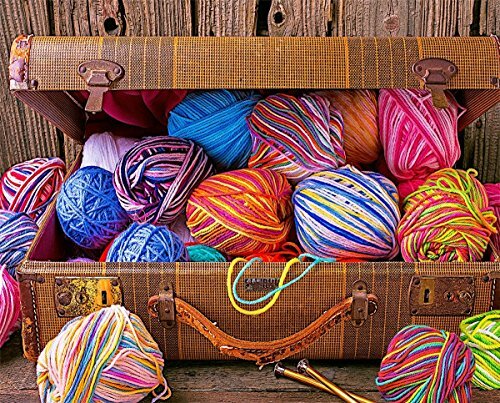 I am a closet Yarn Lover (hoarder), so coming up with the Best Gifts for Knitters and Crocheters list was easy. Not many people know I crochet, much less that I hoard yarn. My grandmother taught me to be a yarn lover when she showed me how to crochet, knit and embroider when I was about 10 years old. I did pretty good with the crocheting and embroidering, but not so good with the knitting. I was sloppy and you can’t be sloppy when knitting. 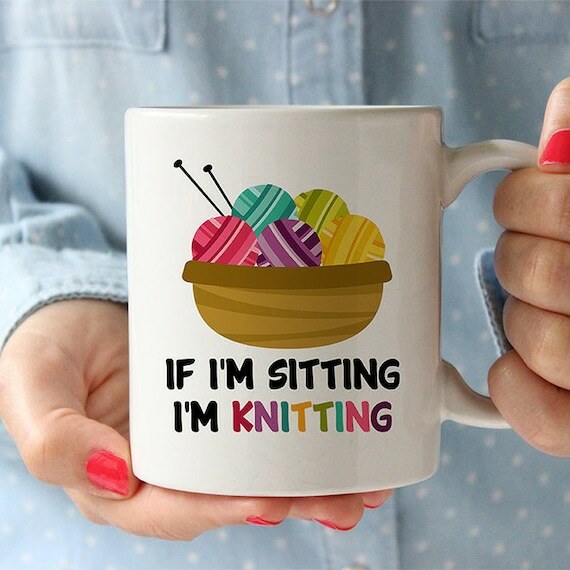 If you are a knitter, you know what I mean. 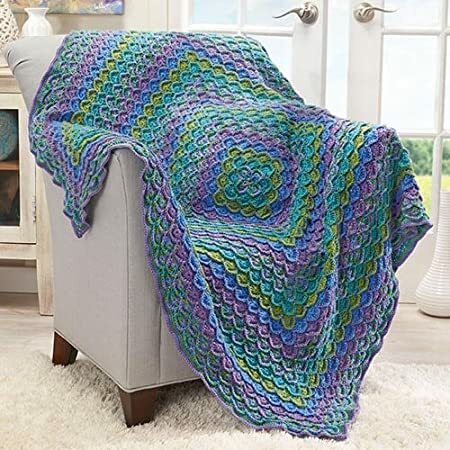 Over the years I have mastered crocheting and have learned that there are fun accessories and yarns that will make the process of crocheting even more fun. 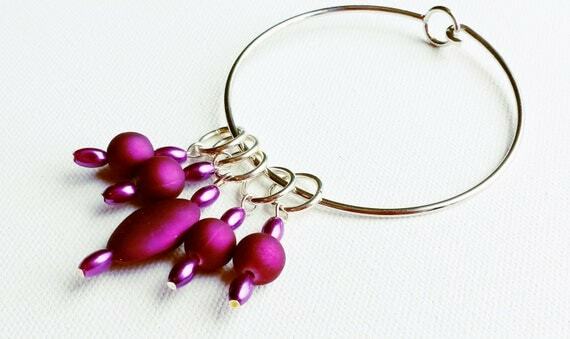 Most of these accessories can be for the knitter or crocheter and make perfect gifts. Funny video I caught of my grandson trying to copy me. One day while he played cars and trucks, I sat crocheting. Soon he snuggled up next to me to see what I was doing. Then he wanted to try. I gave him a sample piece of my crochet work and let him choose his needle, of course, he chose 2 needles. Born knitter. Here is a short video of his first try at crocheting. So cute!!! Start them young and by my age they will be yarn hoarders too. Listed below are a few of the gift ideas that I want. 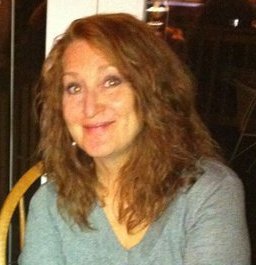 I hope my husband reads this blog post. Hint hint. I have lots and lots of yarn (yarn hoarder…remember?) ready to be made into something beautiful. I have yarn skeins that I bought on sale or someone gave me. But they are the “usual” kinds of yarn, the “boring” kind you buy at the fabric store. There is nothing wrong with those at all, but they boring. 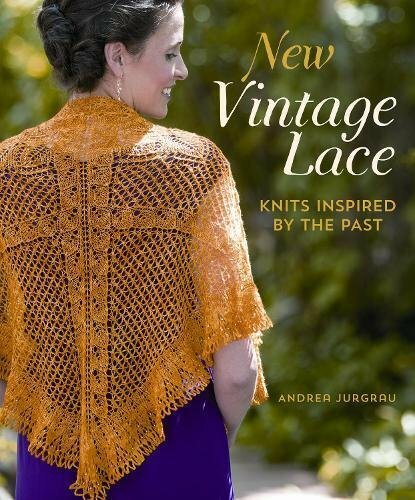 What I would really love to work with are some high dollar yarns. 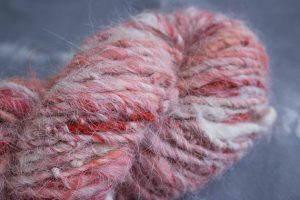 I would love to play with some pretty Alpaca yarn, Angora yarn, Cashmere Wool, or a Silk blend. Those are the dream yarns, but not something I would splurge on for myself. I don’t buy them for myself because I am afraid of ruining them. Also, it takes several skeins of yarn to actually make something, so the costs rises quickly. 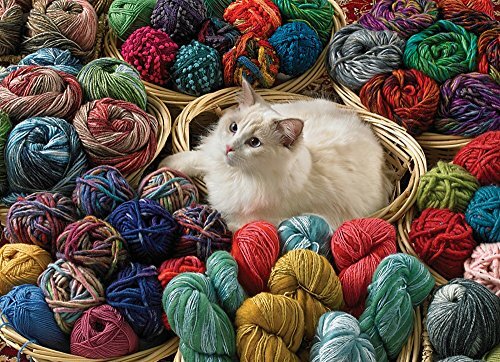 But I would like to try some of these yummy yarns. I know any knitter or crocheter will completely understand what I mean. 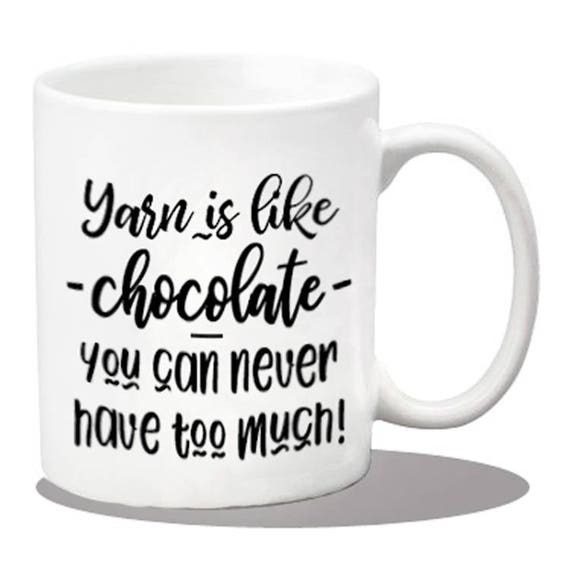 That is why yarn is such a great gift idea for knitters and crocheters. 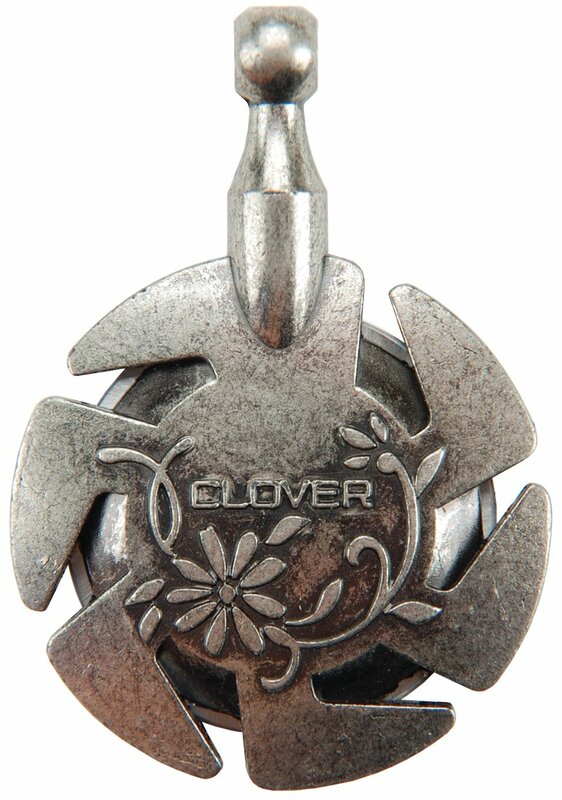 I am completely in love with the Clover Yarn Cutter Pendant. It’s both practical and pretty! I am always losing my scissors either in the chair or in the project I am working on, so this is perfect for me. 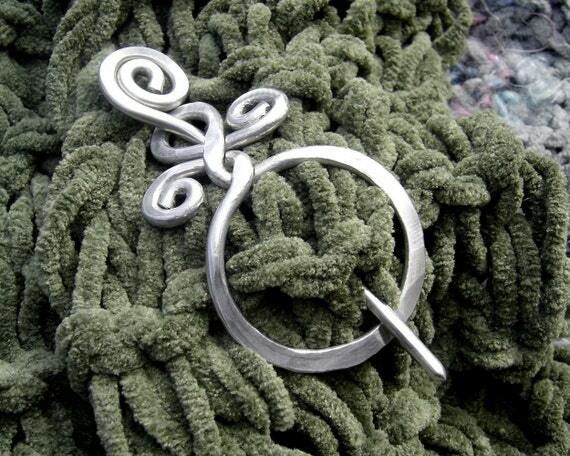 I can either wear it as a pendant necklace or put it on top of a spool of thread to hold it. There are several different designs to choose from and they sell some in multiple packs. 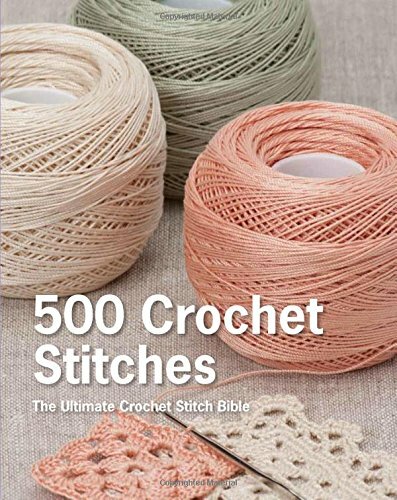 So if you have several knitters or crocheters on your list, this is perfect the perfect gift for them. 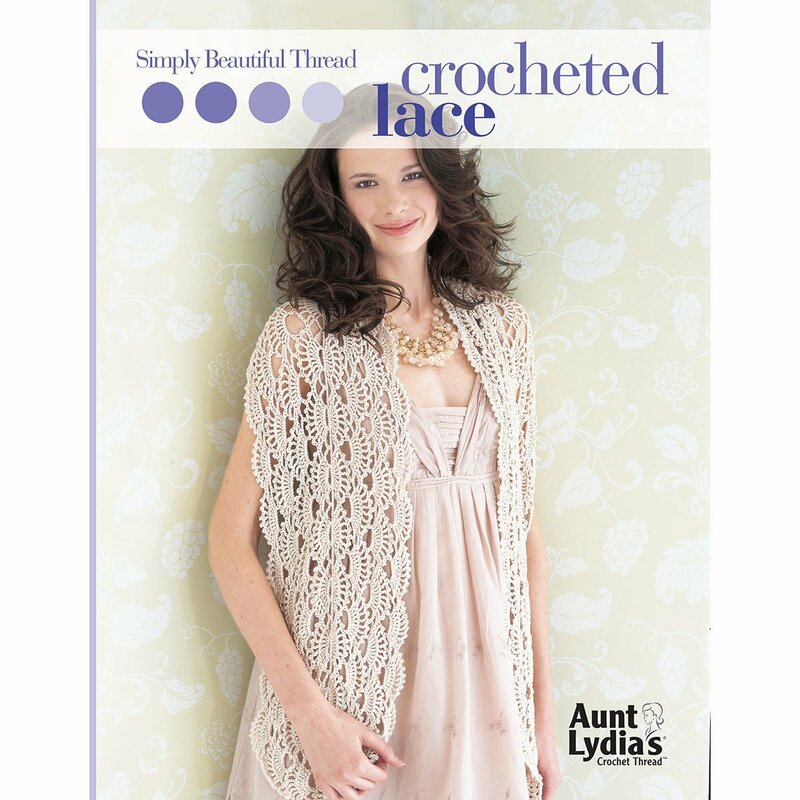 This is a great idea whether you love crocheting, knitting, embroidering or even sewing. 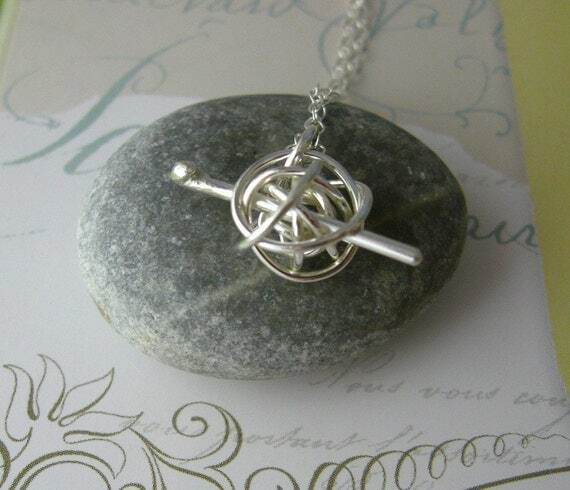 There is a rotary cutting blade inside the pendant, so all you have to do is run the yarn along side the blade and it cuts the yarn. I love the fact that I can’t cut myself and my grand kids can’t come along and find my scissors and cut something they shouldn’t be cutting. 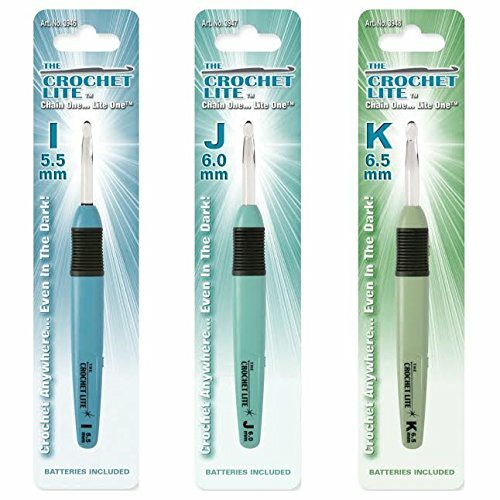 This is a great gift for knitters and crocheter, and best yet, so inexpensive! 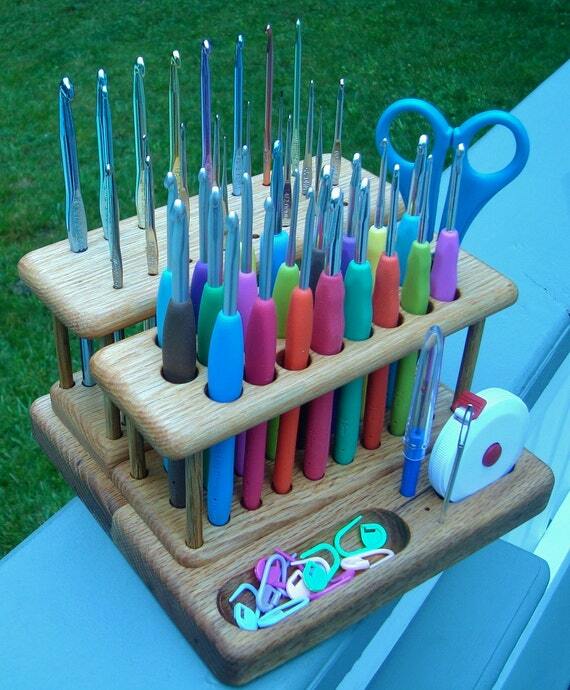 The Elite Crochet Hook Organizer Workstation is a crochet lovers dream. 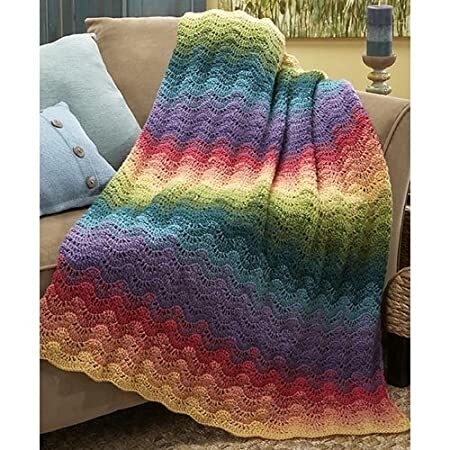 This really is the best gift for crocheters. We try to be organized, but it is so hard with all the needles and such. I get tired of searching for my hooks and my scissors and things. This keeps them all in one place and they will be there when I am ready to use them. 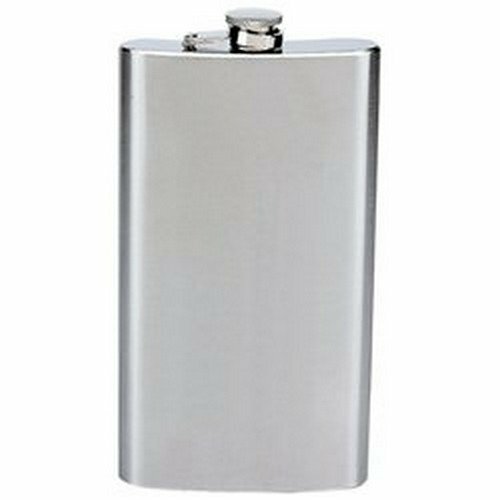 It is handmade out of Red Oak Hardwood and oil-rubbed finish to enhance the wood grain. It is made in a little wood shop in Midlothian, Virginia. 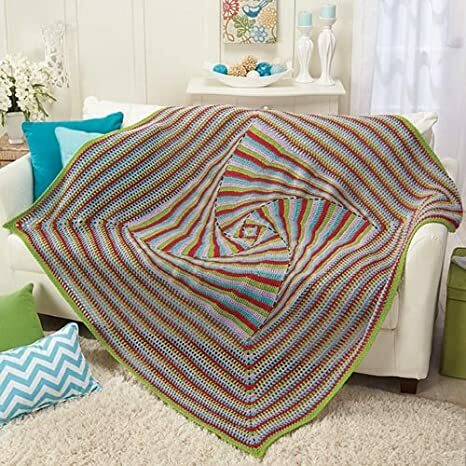 The maker of this beautiful piece will also send you the free Chetnanigans accessory package — including 5.25″ scissors, a 60″ retractable measuring tape, a seam ripper, a 7 cm stainless steel yarn needle, and 10 stitch markers! I love bonus gifts, especially ones I use those a lot when I crochet. 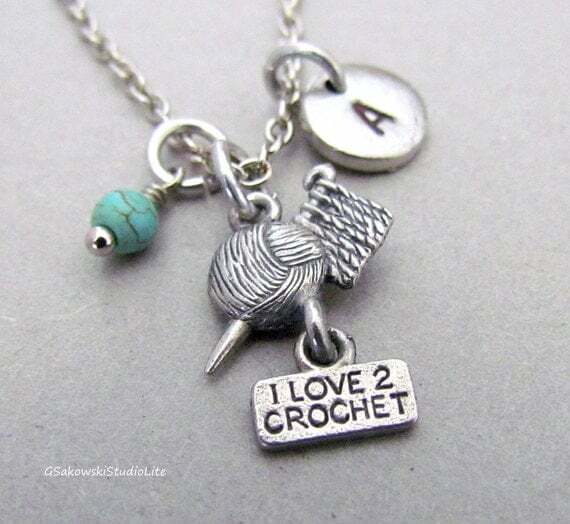 This would make an awesome gift for knitters and crocheters. To see more of these, click here. I made a whole blog post just on these. I am in love with these Wood Crochet Hook Holders. 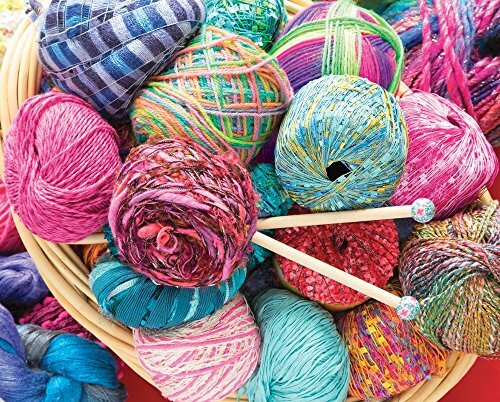 We haven’t left the knitters out when it comes to organization. 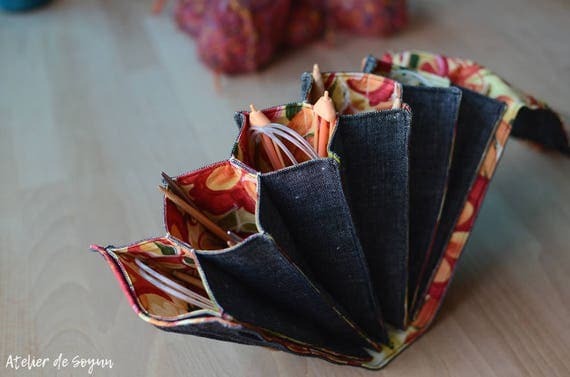 This Maple Knitting Needle Caddy is the perfect gift idea for knitters. 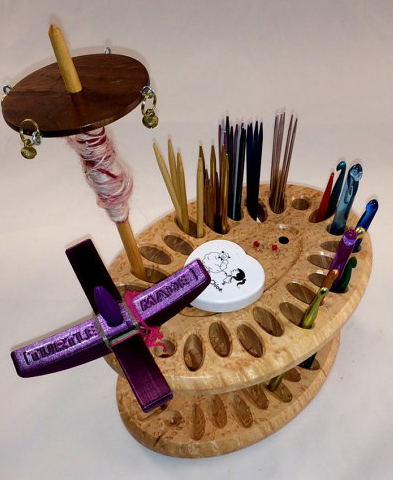 This Knitting Caddy is made out of hand selected Exhibition Grade Birdseye Maple and is designed to hold knitting needles, pencils, scissors and other things like that. It has (4) 1/2″ dia. holes, and (20) 1 1/8″ x 1/2″ elliptical holes. It also features a shallow dish in the center of the caddy to hold small items such as stitch markers or tape measures. This caddy features rubber feet on the base, which protects the surface it stands on and prevents it from sliding around while in use. Approx size: 5″ tall x 6.5″ wide x 9″ long. None of these Caddy’s are stained. They come with a clear Lacquer finish and just need the occasional dusting for upkeep. 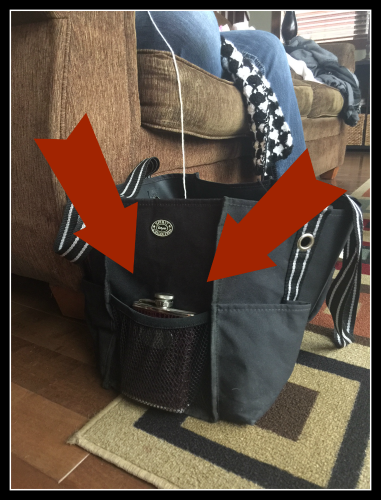 Don’t you think either of these organization caddies would be a great gift for knitters or crocheters? I know I want one. 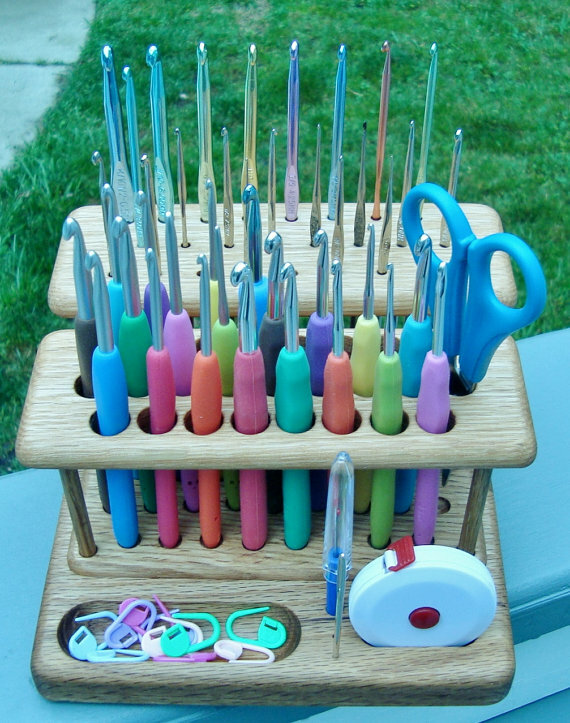 I searched for a wooden circular knitting needle holder, but couldn’t find one. I did find this fabric one that I really liked. Each needle has it’s own pocket and they aren’t getting tangled together. It is handmade out of textured linen in some fun floral prints. I think this is a keeper! 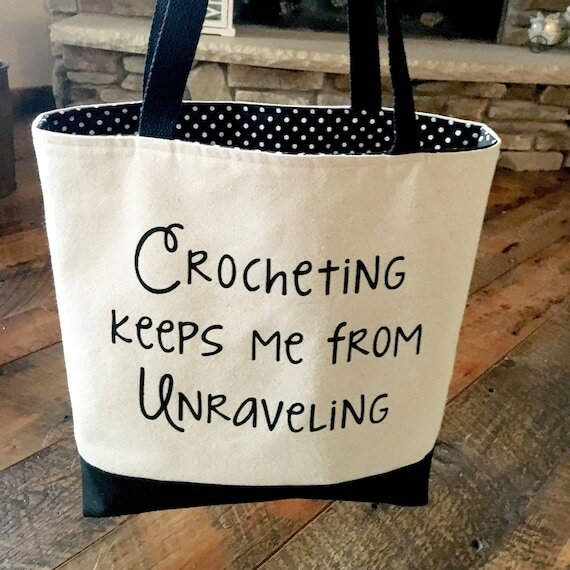 This is a great gift idea for crochets because we don’t usually indulge in hooks like we do in yarn. 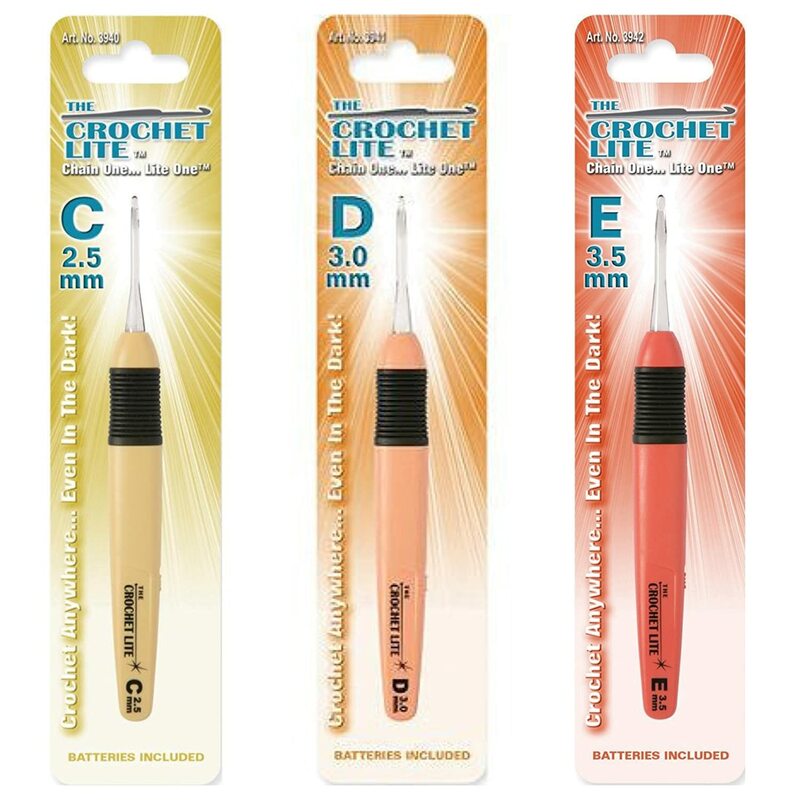 These crochet hooks are so beautiful and so delicate, any crocheter would love to have them. 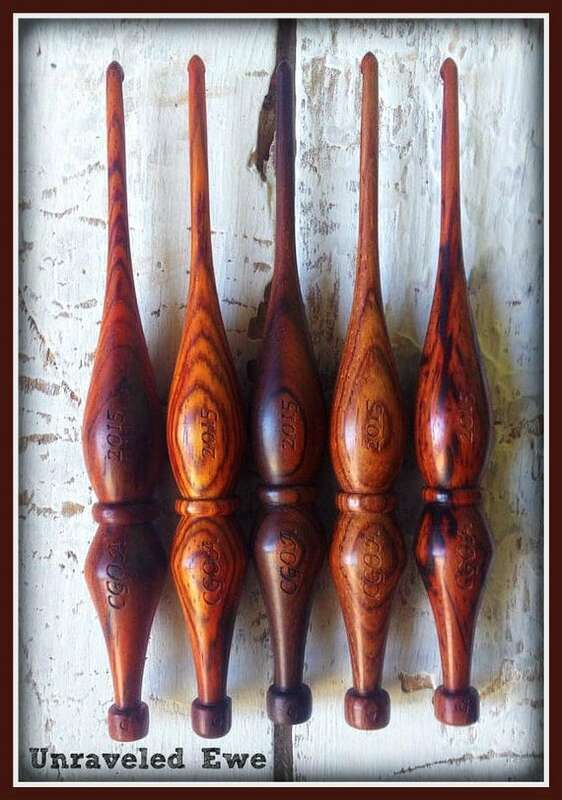 Each hand-turned Cocobolo Crochet Hook is beautiful and comfortable to use. These are handmade in Emporia, Kansas out of Cocobolo wood that grows in Mexico and Central America. These hooks aren’t as long as a traditional crochet hooks. They are only 5.5 inches long. They are created to fit in your hand comfortably. I get hand cramps from holding my needle and I think this might help. It will allow my hand to relax a bit more while I am creating each stitch. They will make a personal inscription on each hook for an additional $5. 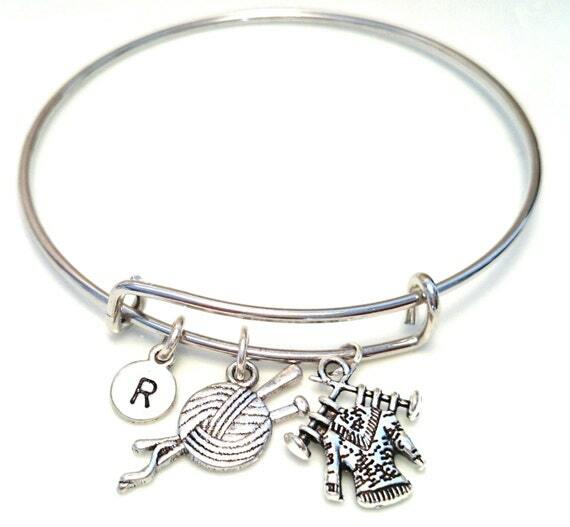 This would make the best gift for any yarn lover. 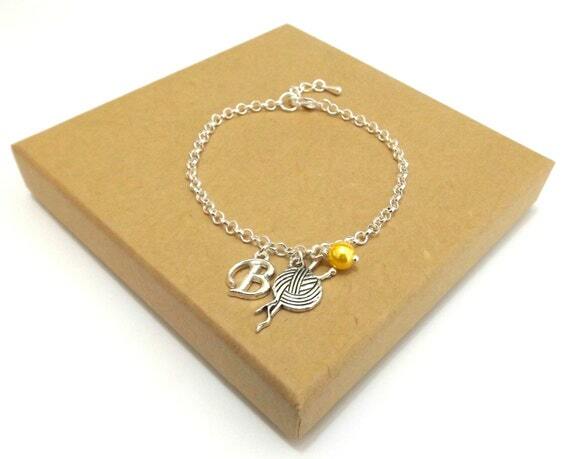 Because these are handmade, allow 2-3 weeks for delivery. 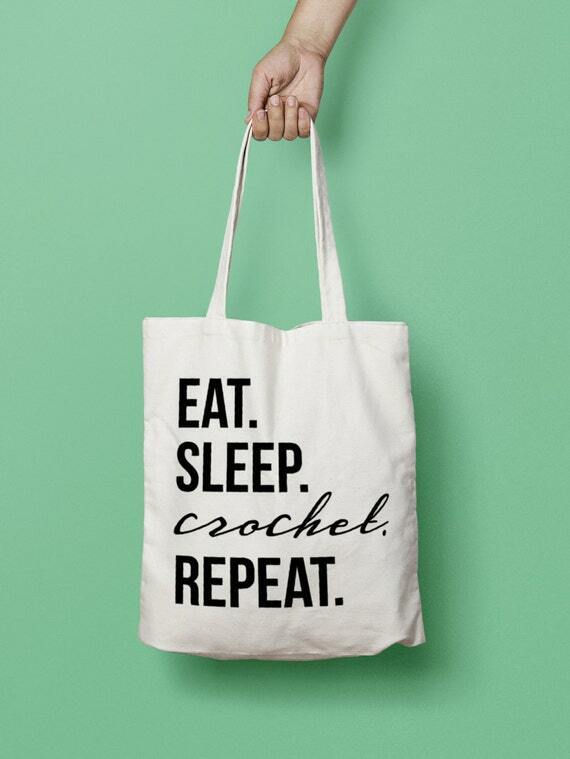 I am a seasoned crocheter but I have my handbook of stitches by my side when I crochet. Sometimes I will forget what a stitch looks like or maybe I decide I want lace edging on a project. I can easily look it up in my crochet handbook. Maybe it’s time for a new improved handbook. 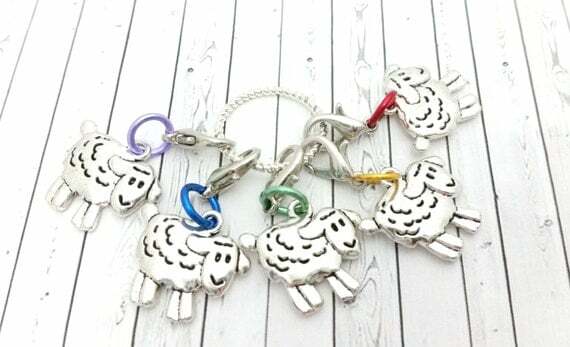 These are not your everyday stitch markers. 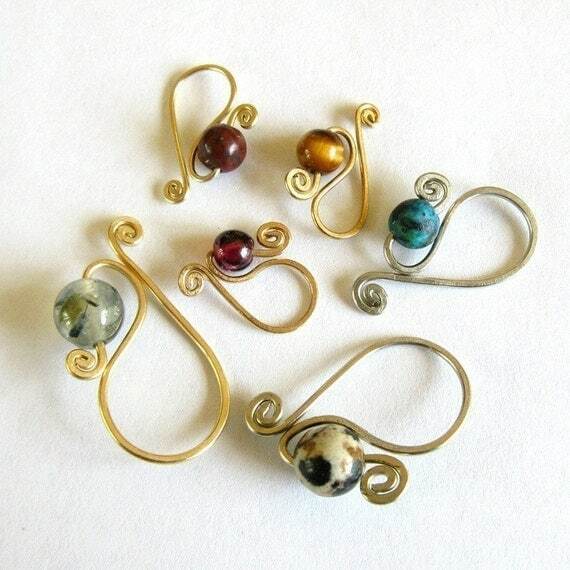 Nope….these are beautiful, custom stitch markers that I would love to have. 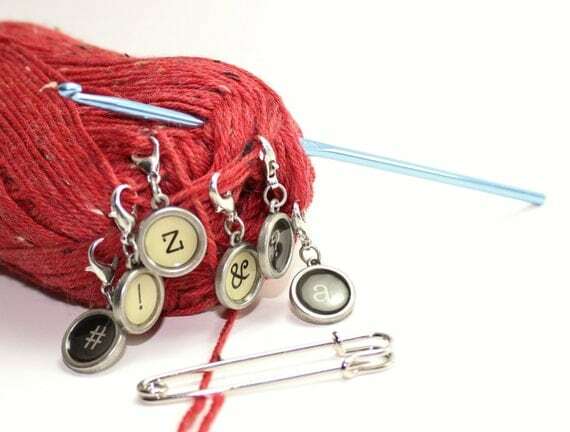 Knitters and Crocheters both use stitch markers to keep track of their place on a project. Either where you began or left off or special areas to skip. 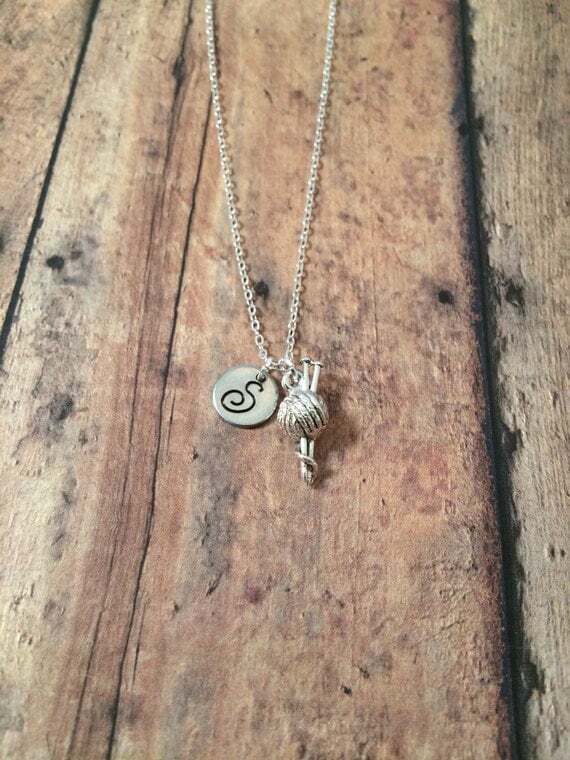 It is extremely difficult to find your place without stitch markers and Etsy.com just happens to have some adorable ones that are a perfect gift idea. There are way too many to choose from to put them all here. Just hop on over to Etsy.com to check them out. These are also inexpensive gift ideas. 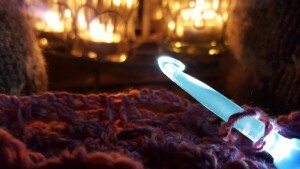 I can crochet a simple pattern in the dark. I have crocheted while riding in a car at night. No problem. 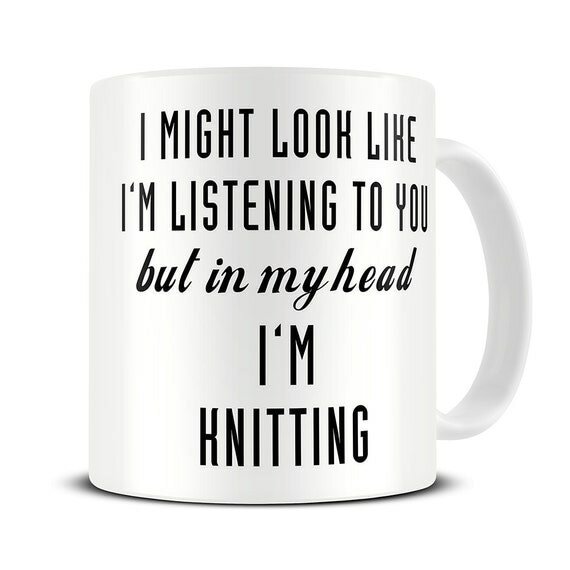 But, there are times I need to count my stitches for some reason. Maybe I lost my place. These light up hooks are perfect for that. It says the whole hook or needle lights up. Can you imagine how handy that would be??? 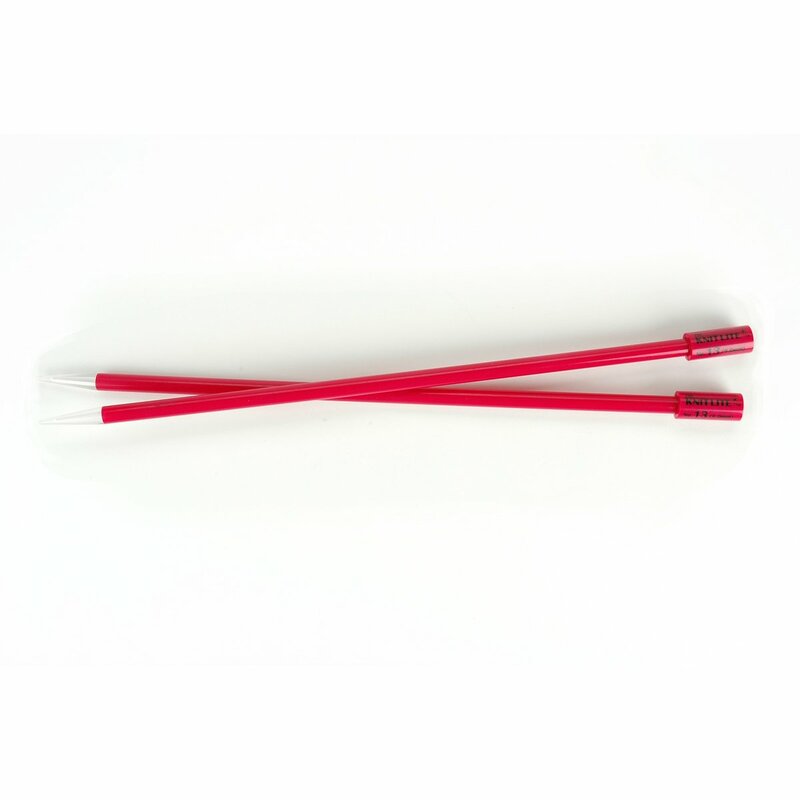 Both knitting needles and crochet hooks that light up are available. Would I purchase them for myself? Probably not. 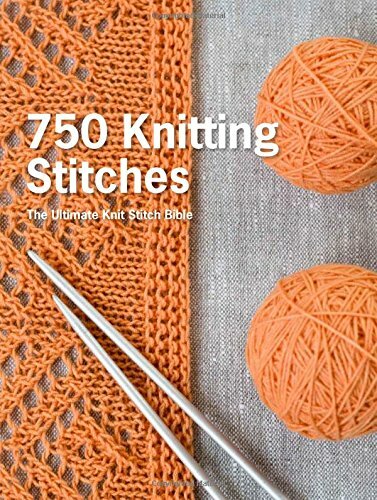 But what a great gift idea it would be for knitters and crocheters on your gift list. I recently bought the Water Lilies Reflection kit, which I never do. But I saw this and fell in love with the look. I am learning a new stitch to make this afghan, but that’s OK, I love learning new stitches. It will be a challenge. I have already had to call the company once to ask a question about the pattern. They have a great customer service department that knows all the patterns and was able to help me understand what I was doing wrong. I am having fun with it. 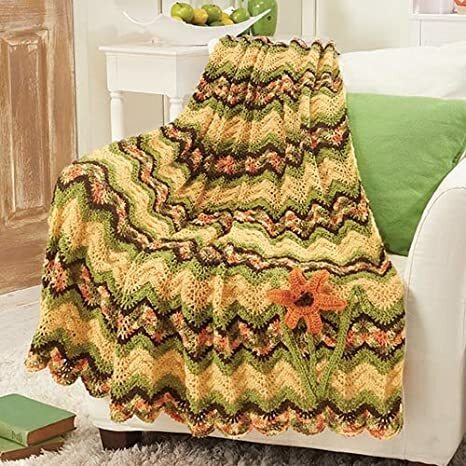 If you have someone that is a yarn lover that may enjoy a afghan kit, look here for one you think she will love. The kits come with all the yarn and instructions. Everything you need to complete the project. 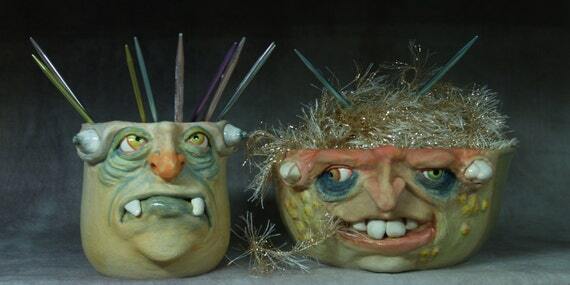 These Yarn Bowls made me laugh out loud! 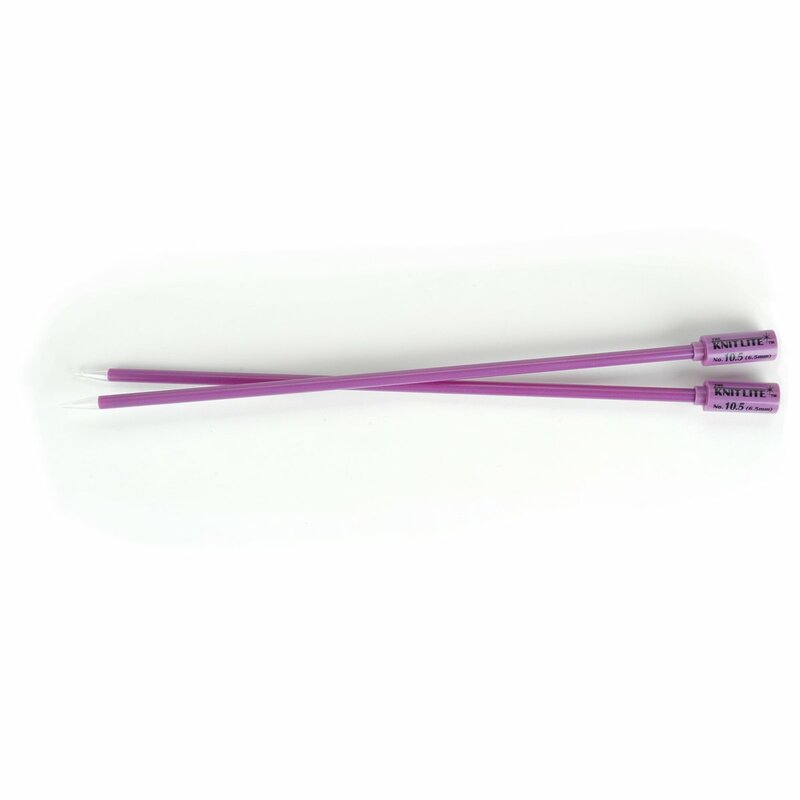 They are perfect gift for knitters and crocheters since they both use yarn. What great faces they have and how handy they would be to have around when you are knitting or crocheting. Each Yarn Bowl is made to order, so don’t expect it in the mail next week. 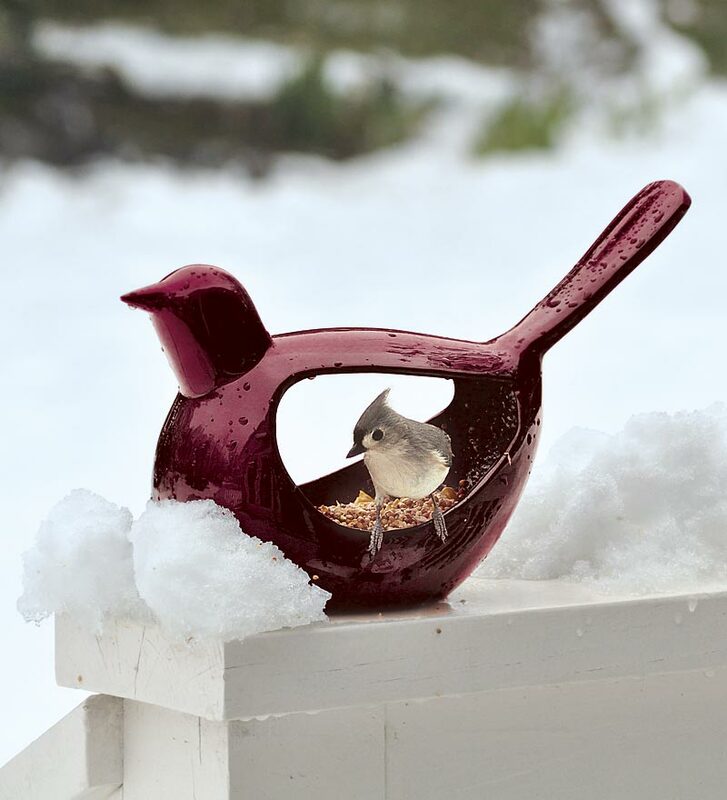 She hand crafts each one of these out of her studio in Hubbell, NE (population…52). You can tell her exactly what you want or she can come up with a design just for you. The thread can come out of the mouth or the nose, it is just a fun way of holding your yarn for you so it doesn’t get tangled or roll across the floor and the cat get it. I love this idea too. 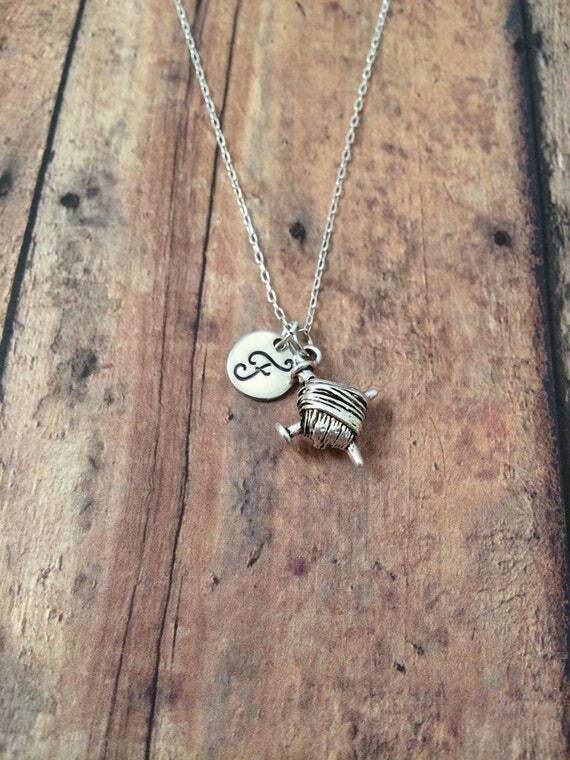 What a great idea for a knitter or crocheter gift. 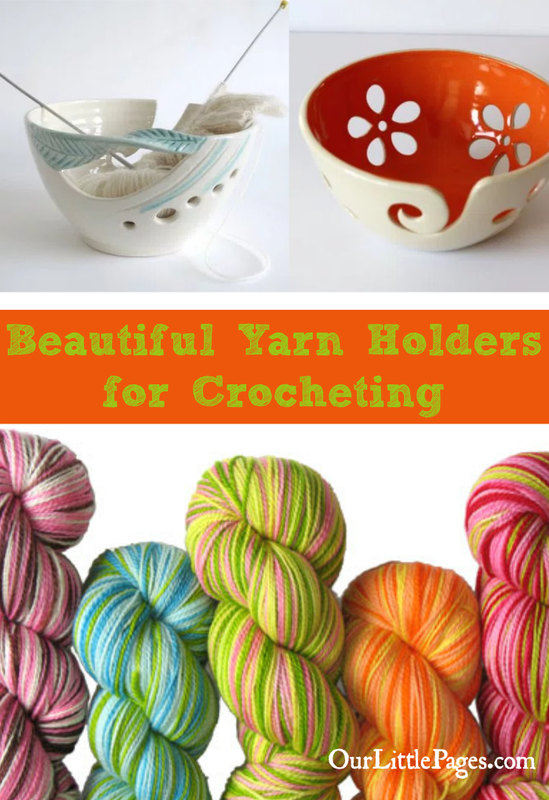 For more of these cuties, check out my blog on Yarn Holders for Crocheting. Love Love Love…need I say more? 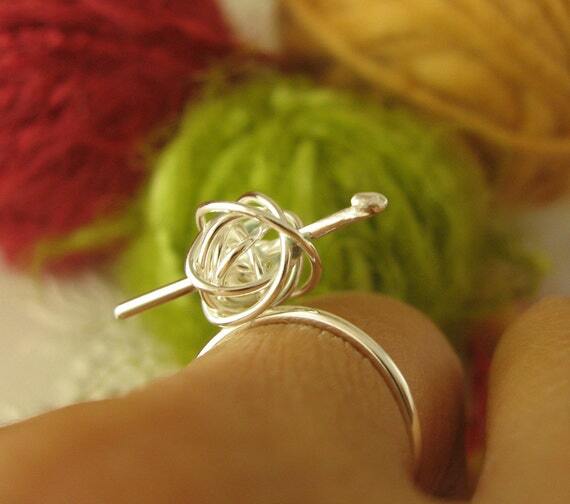 I have always wanted a Shawl Pin but have never bought one for myself…..until now. I wear my handmade shawls all winter long and it irritates me that I am always fighting to keep them closed when I am doing anything besides sitting down. Shawl Pins are the perfect solution for my problem. There are so many to choose from, I just happened to really like this one. 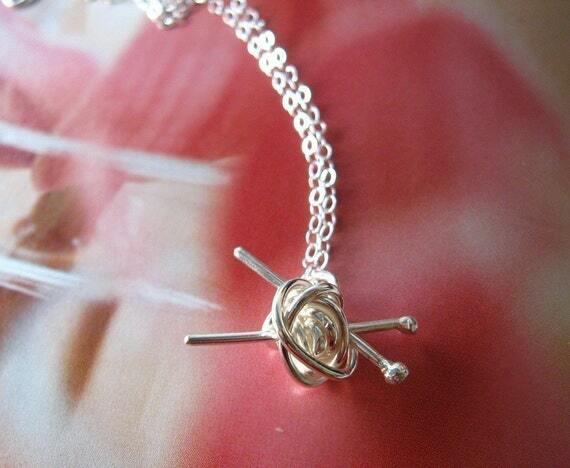 It is handmade, so you know it will be a nice quality and look nice. It ships from Philomath, Oregon and they don’t say anything about a time line. So maybe they have some on hand ready to ship out for the perfect gift for knitters and crocheters alike. 14. Unique Gifts for Knitters and Crocheters – Puzzles! I love my yarn, but in the summer it is just too hot to play with it. But I find that a nice Yarn Puzzle isn’t too hot. I have several that are so much fun because they have yarn in them and it excites me for winter to come so I can get started on some projects that I have hidden away in the closet. Do you have a knitter or crocheter that would be excited to work a summer yarn puzzle? Then this might be the perfect gift idea for them. 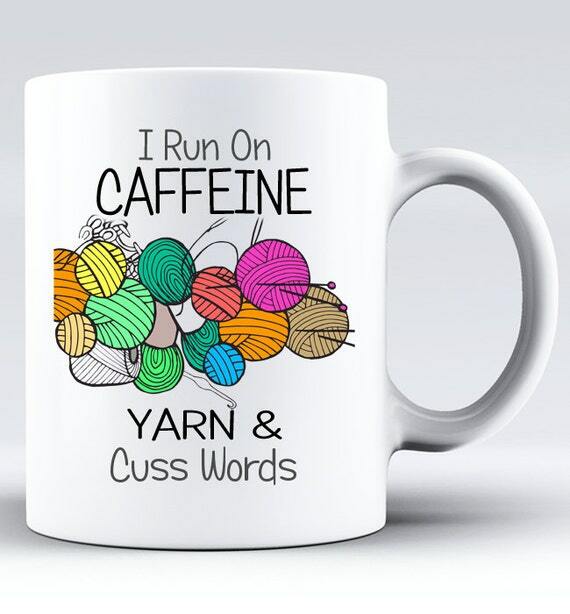 Some times a yarn lover needs to do something else. 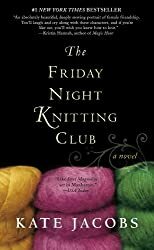 Why not read a book about Crochet Mysteries? This sounds like such a fun book. 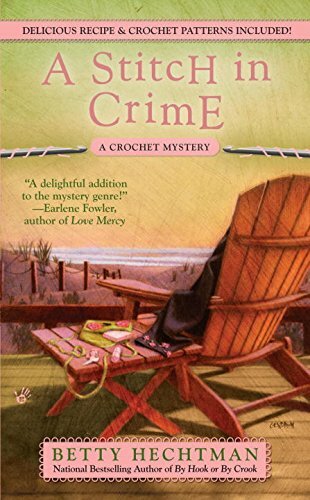 Check out the rest in the Crochet Mystery Series by Betty Hechtman. 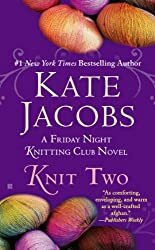 She also has a Yarn Retreat Series your yarn lover might enjoy. 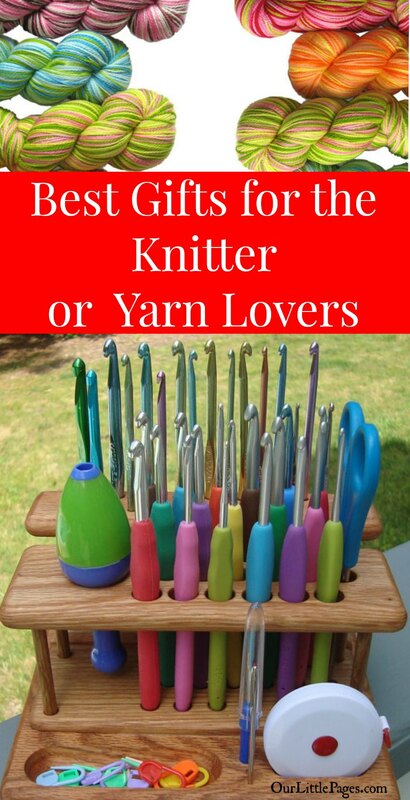 Here is a great gift idea for the knitter. 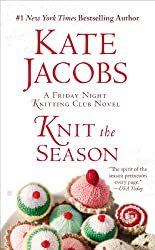 A book series that is centered around knitting. 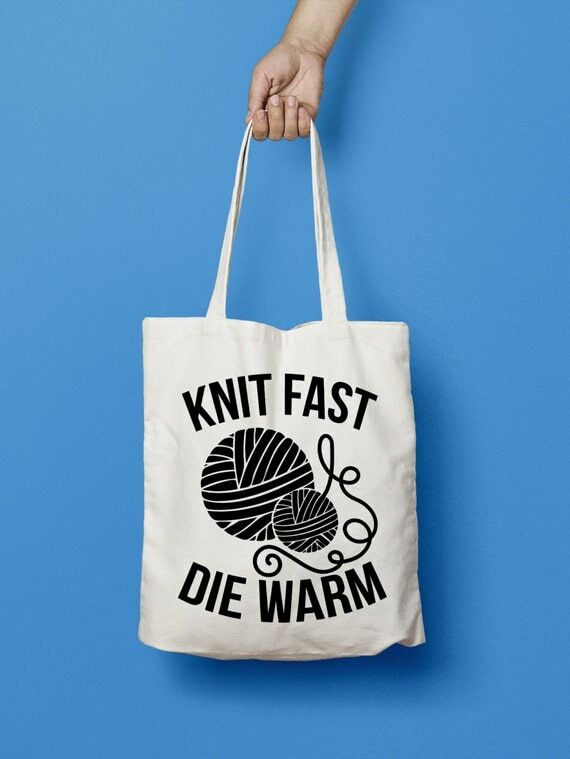 Nothing inspires a knitter to knit as much as other productive knitters. 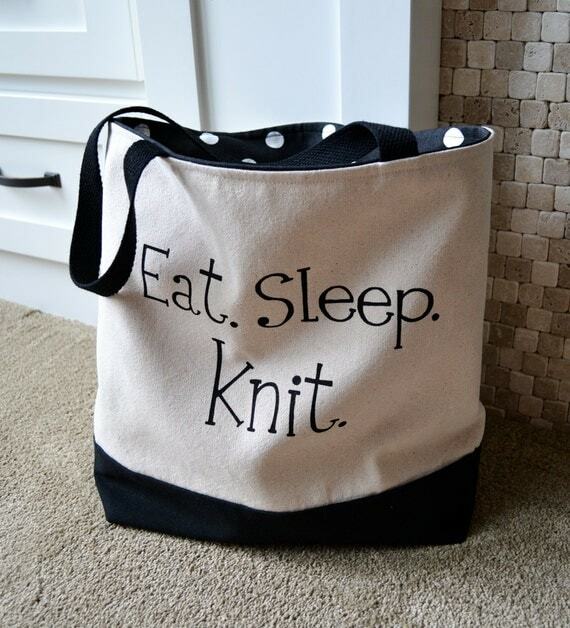 Everyone that crafts with yarn needs a project bag. I usually take mine to the car shop while my car is getting worked on or while I wait at the beauty shop. 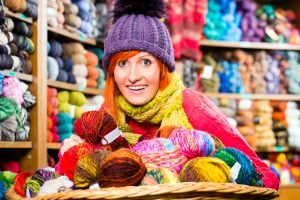 You can find all kinds of time to knit or crochet a few rows when you are waiting. I truly don’t believe in carrying an ugly project bag. 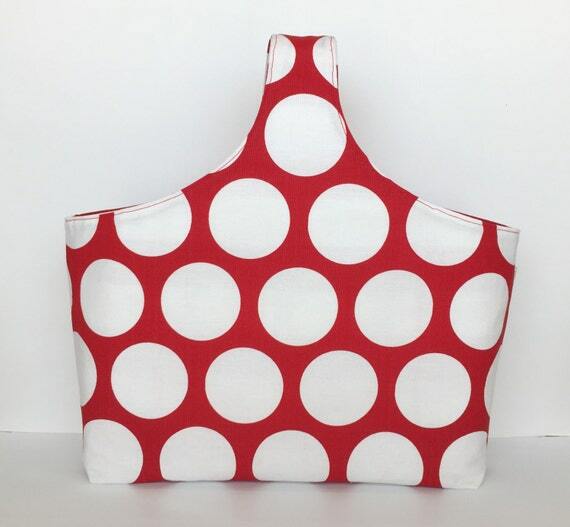 Red polka dots is perfect! This last weekend we went to Branson Missouri with 3 other couples and their kids. One wife brought out her crocheting and her yarn bag had an item that mine has never had. Can you see it in the picture? 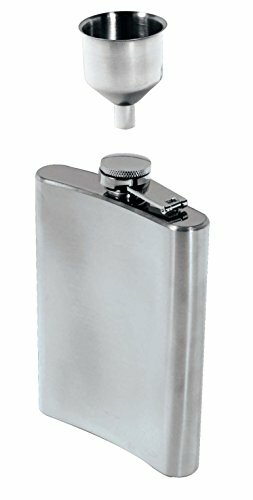 It’s a flask. Now why didn’t I think of that? No wonder she was so calm as her pre-teens ran all over the place. Actually, the kids were all great this weekend. 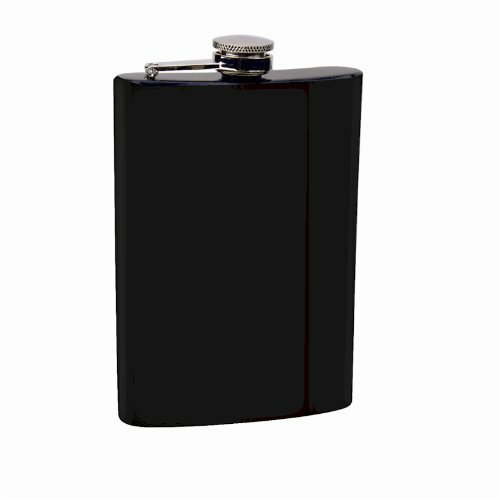 But her flask got me thinking that this would be a great gift idea for knitters and crocheters. 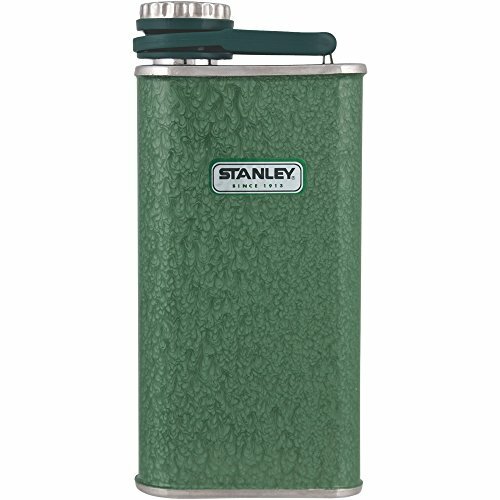 Even if we just use it for tea (tea…sure..right). 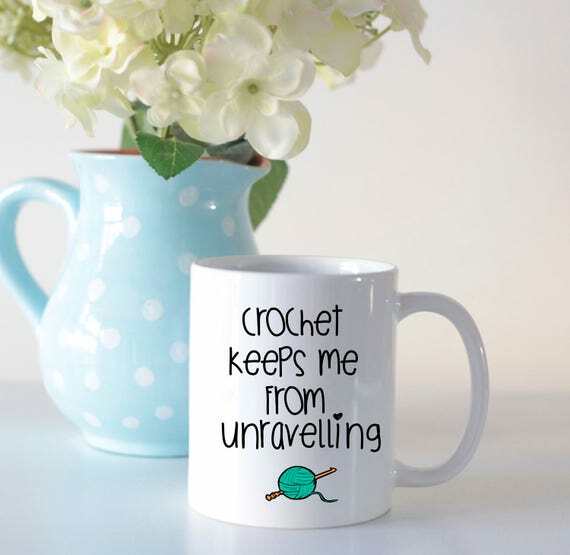 Coffee or tea are essentials for knitting or crocheting. This is serious stuff! 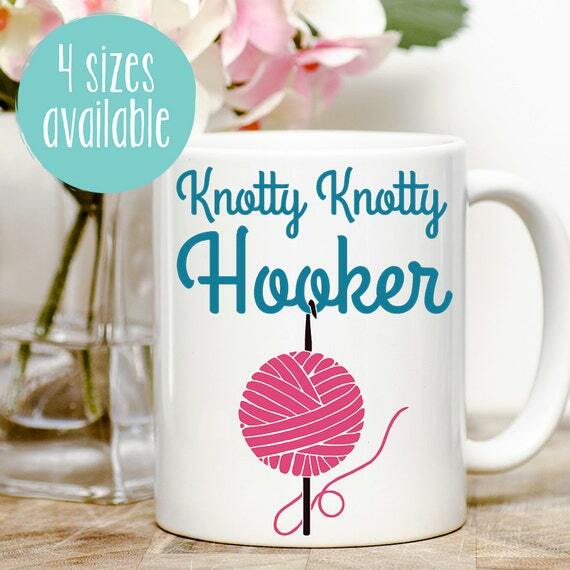 Find a funny coffee or tea cup for your knitter or crocheter on your list. 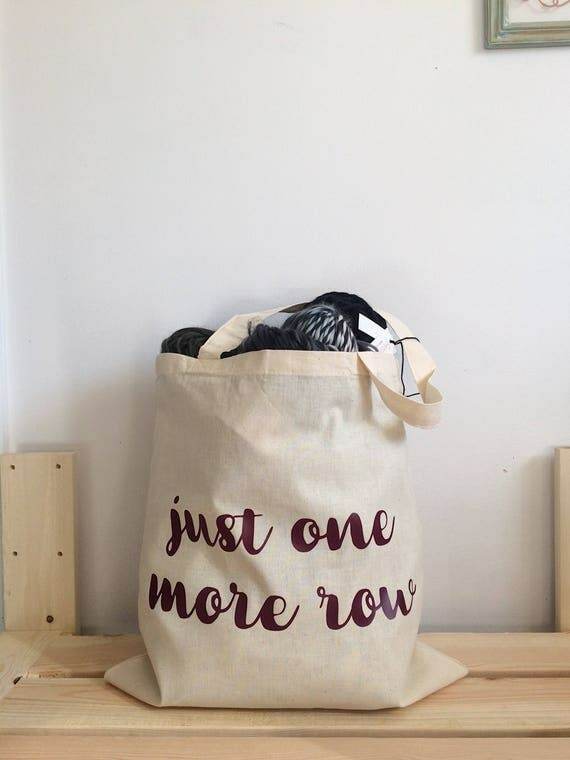 We do need something to carry our yarn around in…even just in the house. 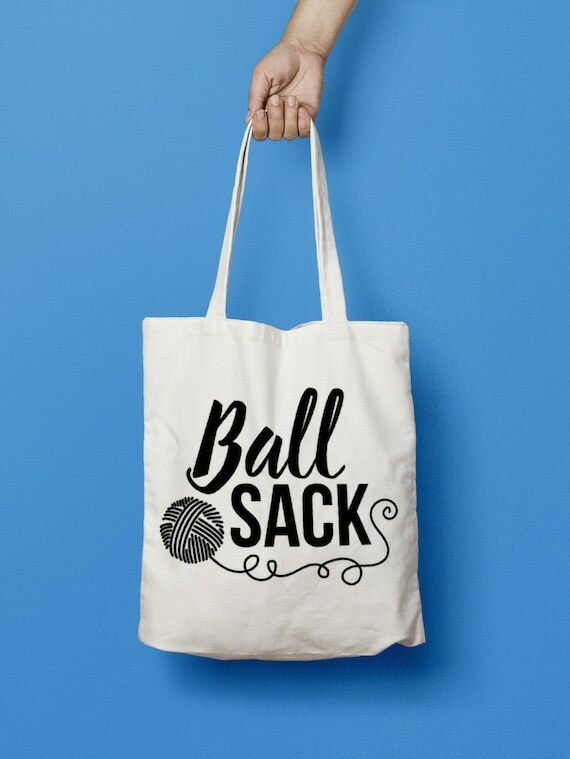 Funny totes that are big enough to handle all our yarn hoarding.